Now, I’m not just talking about the movie coming out. I was disappointed to hear it’s going to have an R-rating, although I honestly don’t see how they could stay true to his character with a PG-13 rating, either. (At least they’re fixing the massive error they made in X-Men: Origins! 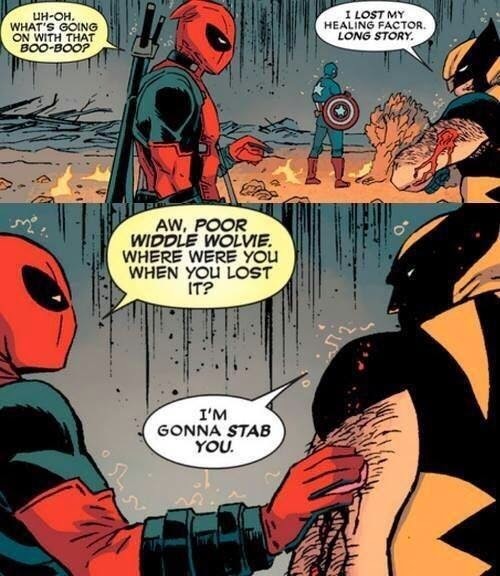 That thing wasn’t Deadpool!) 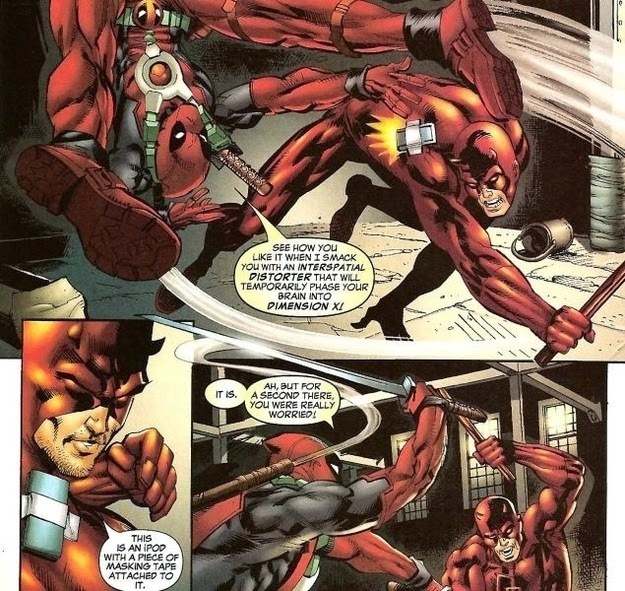 Deadpool is one of the quirkiest and most bizarre comic characters (probably ever), because he was created at a time when MARVEL was going through a bit of a dark place. 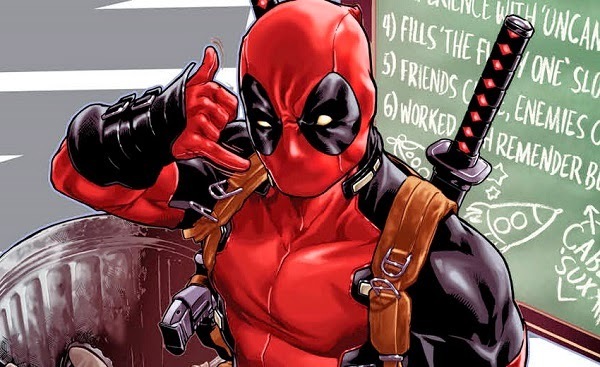 They wanted someone to lighten the mood and provide a little comic relief, and so in stepped Deadpool, aka Wade Wilson, aka the Merc with a Mouth. To their surprise, fans LOVED Deadpool - so much that he's still in the running, thirty years later, and stronger than ever. 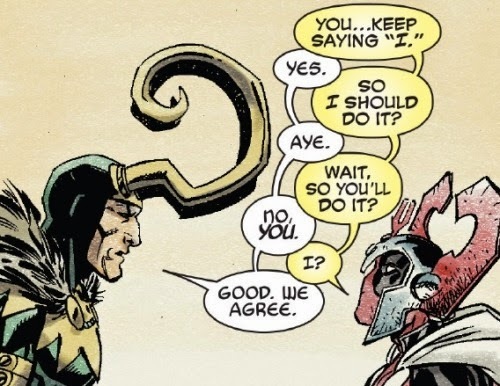 In the spirit of his upcoming movie, I thought I’d dissect him a little (it won’t hurt him) and show why he’s one of my all-time favorite Marvel characters – and why I wouldn’t recommend his comics to just anyone. • Because of his regenerative abilities (he has the same physical resilience as Wolverine, only moreso. You could blow him up and he’d still piece himself back together) his comics tend to be the most violent and bloody. He shoots himself in the head to get out of watching a boring movie, for example. 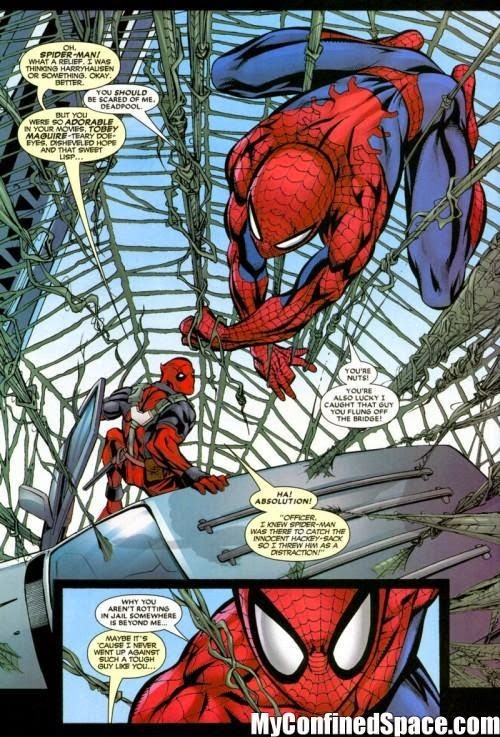 • His bromance with Spider-man is one of the best things on earth. His room has posters of Spider-man, his passwords have to do with Spider-man; he’s basically one huge Spider-man groupie. Peter tolerates him. • His needs are simple – Mexican food, women, and one of those big red rubber balls with a handle. 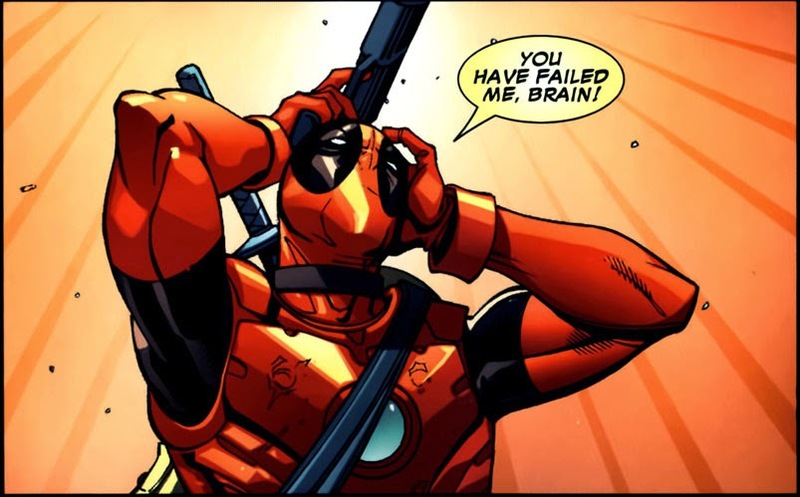 • He’s completely insane and extremely lonely – a friend gave me Deadpool vs. SHIELD for Christmas (it’s one of the most entertaining things I’ve ever read) and because of a (confusing and complicated and too-long-to-fully-explain) mind-meld with Agent Preston (one of the most gluteus-maximus-kicking ladies in SHIELD) we see that he basically has entire rooms in his mind filled with copies of him to keep him company. Awwwww. • As crass and violent as he can be, he’s a real sweetie at heart. 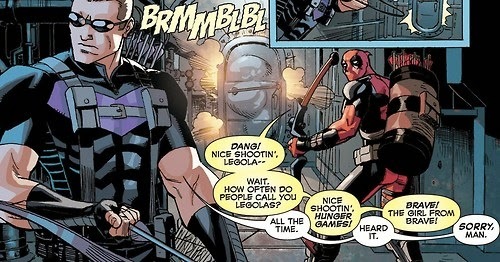 When he teams up with Hawkeye (those are some of the best moments) he lifts up his mask so Hawkeye can lip-read. He makes sacrifices for the good of others, although he acts as though he’s grudging the whole time. While he can be chaotic neutral and he enjoys killing for money (seriously, he shot a guy in the head one time for saying that Hayden Christenson did a good job as Anakin), he’s not a hopeless case, and he does things just often enough to prove it. • Because of his appearance, he doesn’t judge people based on how they look – even though they continue to do so to him. Once he quite fancied a circus freak, a woman who was hugely and enormously obese, and she still rejected him because of his appearance. Awww. • He has a daughter, whom he loves and would do anything to protect. He doesn’t tell her exactly what he does and he hides his appearance so he doesn’t frighten her, but he visits her when he can and when he’s around, he’s a surprisingly good father. 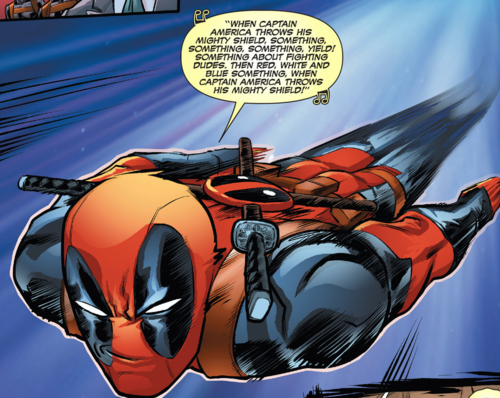 • He has the best sense of humor in the MARVEL universe, hands down. 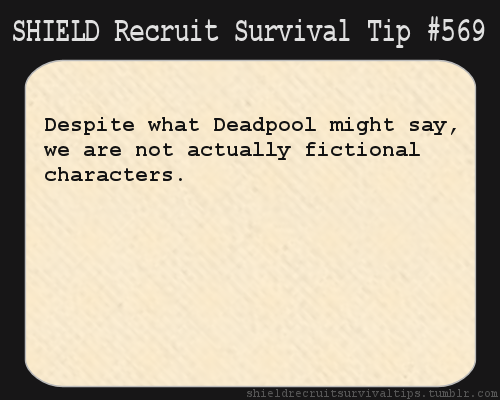 • Also, he BREAKS THE FOURTH WALL. AND IT'S LITERALLY THE BEST. 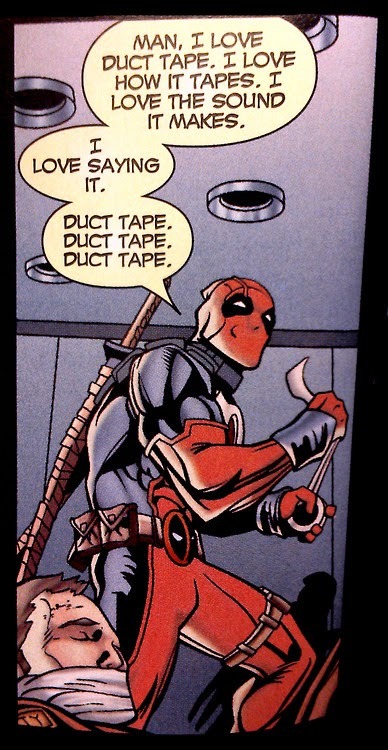 Ah, Deadpool. You know, when I started this, I was wondering if it was really possible to explain who he is--but this is perfect. It's like you said: His sense of humour initially won me over, but the fact that he's actually kind of a doll gives him the real staying power. Also, this bit may or may not have made me choke on my water: "I thought I’d dissect him a little (it won’t hurt him)." Well played, haha.